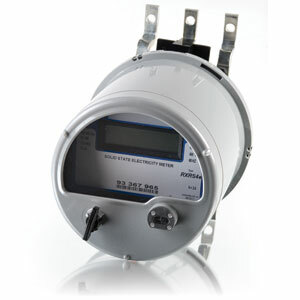 Landis+Gyr extends the range of self-contained electricity metering with the introduction of solid state FOCUS® and S4e meters for both the residential, commercial and industrial markets. K-Base metering is the metering of continuous electrical loads greater than 320 amperes, using self-contained watt-hour meters and no external current transformers. This includes 400 ampere continuous duty and 480 continuous/600 ampere maximum duty meters. Competitive pressure of deregulation and retail wheeling are major industry forces demanding reduced costs, increased profits and improved relationships with utility customers. Many of these requirements are fulfilled through the use of K-Base metering. When an electrical load exceeds 320 amperes, there are two ways of metering these loads. One is by the age-old, costly method of using current transformers, housed in large, special enclosures, consisting of multiple wire connections. The other alternative is safe, lower cost, more accurate K-Base metering.